Black Friday is well underway across country, but even if you got a late start, there are still deals to be had. The first that you should check out is the deal on the Nexus 5X at Amazon and Google Store. While not the best of the two new Nexus phones, it has been dropped to $299 for the shopping holiday and is probably well worth it at that price point. 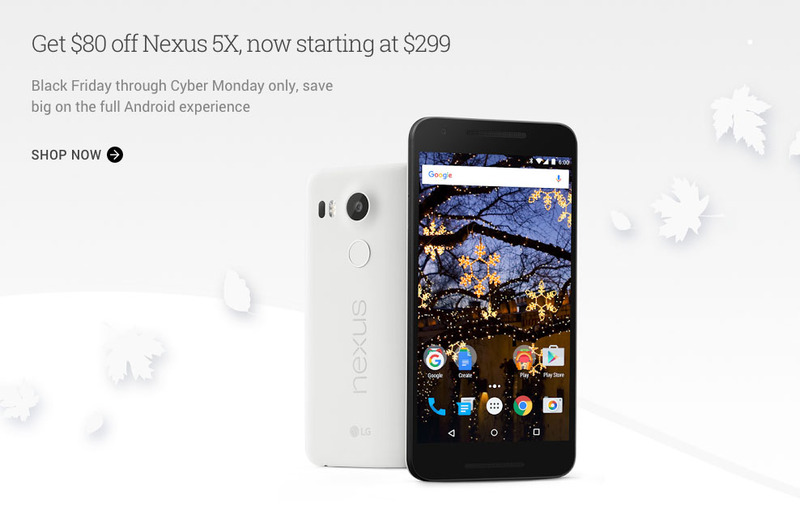 To clarify, the Nexus 5X with 16GB of storage is $299, while the 32GB model is down to $349. Be sure to read our Nexus 5X review to catch up.